Squamish, BC (PRWEB) March 29, 2011 -- As the popularity of endurance events including the marathon, Ironman and adventure racing has exploded, more athletes are venturing into ultrarunning. Squamish author Margreet Dietz, a five-time Ironman finisher and a 3:07 marathoner, is among them and has written a book to inspire and encourage those tempted to try it, with some practical advice too: A Hundred Reasons to Run 100km. Vancouver's Lucy Ryan has run four 100km ultras, finished eight Ironman triathlons and Ultraman Canada—which consists of a 10km open water swim, a 421km bike ride, and an 84km run—in the past four years. In 2005, the mom with a fulltime job had never run farther than a half marathon. "Running 100km gives you a 'day off' from regular life. It's like a vacation of the mind—no thoughts of finances, work, what the kids are up to, etcetera—just pure survival. How often do you get to do that?" Ryan says in A Hundred Reasons to Run 100km. I love running to music if I'm doing a long run on the road on my own. 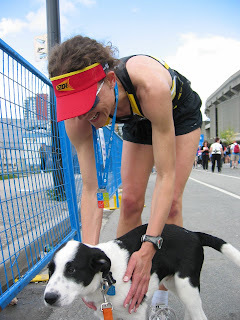 Since moving to Squamish, I've been doing a lot of my training on trails with my loyal four-footed buddy Luka whom we adopted from the local SPCA in April 2009 as a puppy of about four months. The 2009 BMO Vancouver Marathon was the first race Luka ever watched and he decided then and there to become a running dog when he grew up. Luka even made it into one of the 2009 BMO Vancouver Marathon newsletters. Now that Luka's a little over two years old, he loves to come for regular runs on the trails and I love the positive energy and sense of excitement he brings to my sessions. 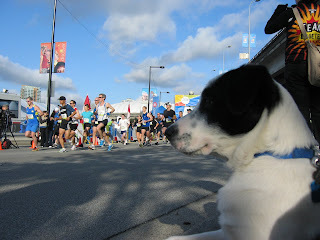 He joined me for an 80-minute run on Friday, and a 35-minute one yesterday afternoon. With the pouring rain today and my plans to run much of the session on the road, Tim took him for a morning walk instead while I ran a pacey 95 minute pacey. Triathlete Tim was keen to do a 90-minute run and had agreed to join me for the second half of my run. Going back home at the midway point also allowed me to quickly change into dry gear as I was already soaked for those first 95 minutes. Then we set off for a loop along dirt roads from Valleycliffe toward Quest University, along the golf course, the swimming pool, and then back home. Instead of cutting through Hospital Hill, we took the longer option and ended up back home after 1hr 42min at a solid pace. It was so nice to have Tim's company for the second half of the long run. He had many cool stories from the Victoria Masters swim meet he did yesterday on Vancouver Island with other members of the Squamish triathlon group the Titans. Squamish-based swim coach and elite triathlete Jan Francke had suggested they go, and organized it. Besides changing clothes for the second half of the run, I also changed shoes and wore the Hoka for the second part. I've only had them for a few weeks, reviewing them for IMPACT Magazine (courtesy of Kintec). The more I try these shoes, the more I like them. That brought my total running time for today to 3hr 15min, pfew! Back home I first changed into dry clothes, had a big glass of water topped with orange juice, and then lay on the floor with my legs up against a wall to help speed up recovery. Luka thought that was his cue to bring over a ball. Perhaps I should have brought him on part of the run, as he'd be lying up with his legs in the air, too, asleep on his couch. Next I had a sandwich with margarine, plenty of ham and cheese -- toasted. Then I felt recovered enough to have a hot shower. Afterward, I applied a layer of Voltaren to my calves which always get tight before wrapping them in Glad wrap so the cream has a chance to work its calming and relaxing magic (a tip from my Active Release Techniques therapist in Sydney gave me years ago to recover from hard and/or long sessions). I remember the time when I dreaded the long runs, afraid I'd give up before they were complete. Now they're my favourite sessions and I love doing them: two 3-hour sessions done, three left to go before May 1! It's a spectacular day in Squamish, a great relief after the big dump of snow we received last weekened: I was supposed to run 3 hours last Sunday but after struggling 2-1/2 hours alone on slippery roads, I had more than enough. After a great hill / tempo session on Tuesday, I went to see my new ART therapist here in Squamish on Wednesday afternoon. She did a superb release, though I felt like I'd been run over by a truck so decided to postpone my run until Thursday, and postpone it again as I still felt so wrecked. Until my two visits in the last 10 days, it had been months if not a year since I'd last had any ART done so I shouldn't be surprised at the way my body responded. On Friday, I only did an easy half an hour run. With a gorgeous day yesterday, I headed out for an hour but felt so fantastic now that I'd recovered from the ART treatment that I did an 85-minute fartlek session. 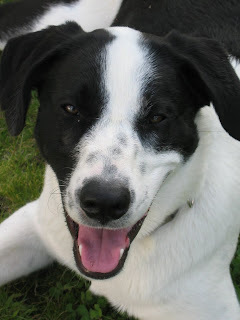 Today I began by taking my dog Luka for an easy 25-minute run around the block. Next I was joined by Tim and Stacey, and we jogged the 15-minutes from our house to the Adventure Centre where Derek was waiting for us. Our course today was a flat out-and-back on the road. Tim and Stacey did a shorter session, so turned around earlier, while Derek and I kept going at an easy pace. Running in the sun, on clear roads, while having a relaxed chat with my training buddy, it was a stark contrast from last week's cold and lonely battle with the elements. Derek and I ran for two hours. Then I had a final (uphill) 15-minute stretch to go on my own. While tired, I felt pretty good overall. I drank 500ml of water and ate 1 Powerbar during this run, after this morning's breakfast of (sugarfree) Alpen with milk and my usual mugs of coffee. After a shower, I rubbed a layer of Voltaren on my calves before Glad wrapping them, a tip from a former ART therapist in Sydney. Then it was time for a big recovery lunch (omelet with ham, and bread with goat's cheese), and plenty of fluids (water with OJ, and peppermint tea). 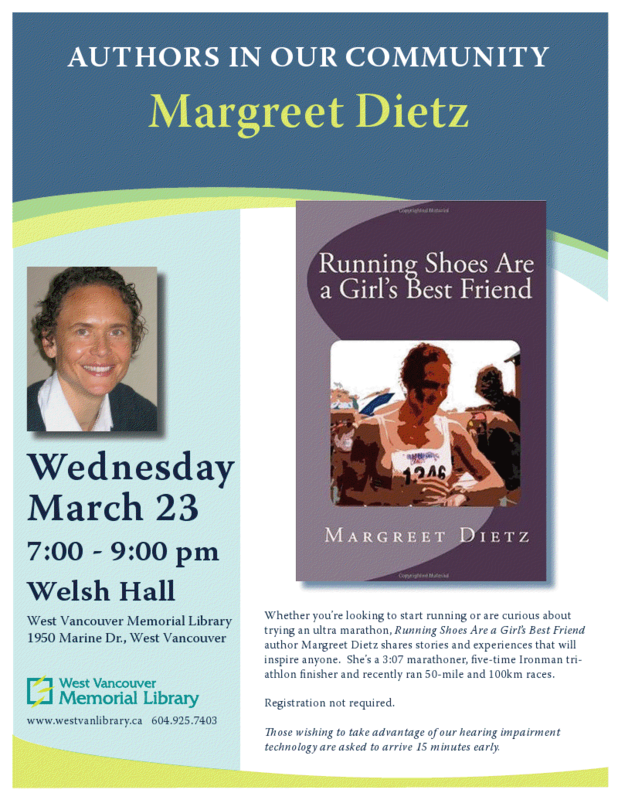 Less than two months to go until the Vancouver Marathon! First, I'll race the Vancouver Sun Run in mid-April with Tim and my sister, who's moving from the Netherlands to Vancouver. 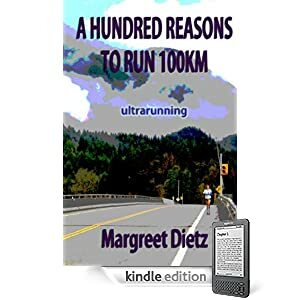 Back to work this afternoon, and finish the final work left on my book A Hundred Reasons to Run 100km. I'm hoping to release it this week and the proof copy of the paperback looks absolutely awesome. I'll do an easy 30-minute run late this afternoon, something my former coach Pat Carroll introduced me to a couple of years ago. It's a great way to get in some extra mileage on those long run days, without pushing your main effort beyond three hours, which Carroll was an invitation for injury and unnecessary.